Here you can see the printable blank calendar for 2019. You can also find next year's calendar on our website. As a team of www.free-blank-calendar.com, we provide you free calendar templates for every month and year. We have several calendar formats which are suitable for almost every purpose. You can print out whichever calendar image you like. You can download 2019 Calendar templates as two formats: PDF, JPG Image (printable). Please feel free to share your comment with us! What are you waiting for? Just Print 2019 Calendar now!! 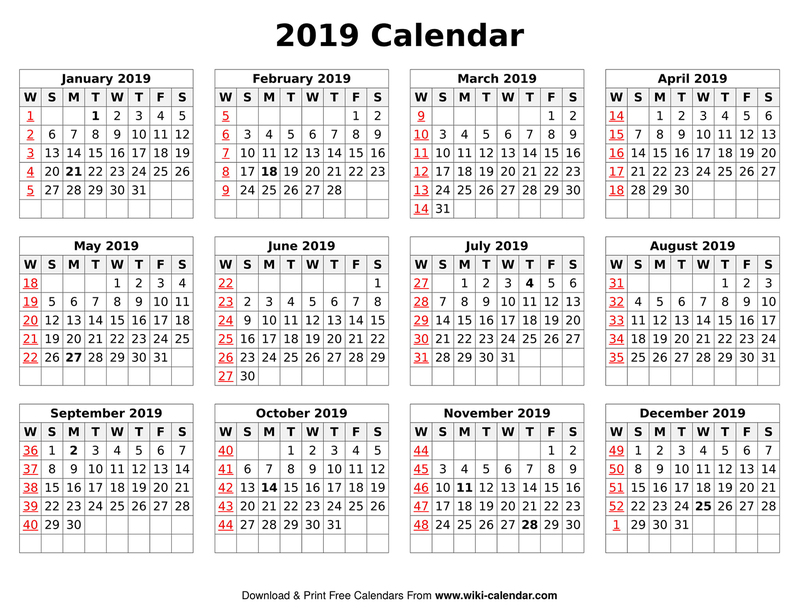 Some more printable 2019 calendar formats you may like!! Get your Blank calendar now.